I believe that my 3 daughters Jessica, Vicky and Priscilla are caught up in a sect. Please pray that God may open their eyes and expose all demonic activity in their lives. 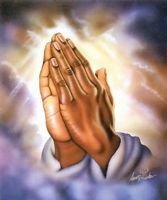 In Jesus name amen!